In college, every summer my friends and I would go to Santa Cruz for the week. We’d rent the same beach house and spend all week together lying near the ocean, drinking, going out to eat and partying at night. We’d wake up and make cocktails, lay out for awhile, have lunch, more cocktails, take a nap, then get ready for round 3 and go out to the bars in Capitola. I was so offended. How could he even think otherwise of me?? I mean, doesn’t everyone believe in God? Sure I wasn’t the most conservative-church going gal, but I obviously believed in something beyond this life. After I calmed down a bit, I realized something . . . nothing in my life was evident that I believed in God. The fruit I was bearing was certainly not the kind of fruit that someone who believed in God would bear. I was drunk all the time, cussed like a sailor, smoked close to a pack of cigarettes a day, was super materialistic (thousands of dollars in credit card debt), practically lived with my boyfriend, and was overall pretty selfish. Looking back, it’s no shock that someone would be unsure of my belief in God. My life told a very different story. That’s when I read this verse in the bible for the very first time, and it scared the hell out of me. Literally. Not everyone who calls Lord, Lord will be saved, but the one who does the will of the Father who is in heaven. This verse stopped me dead in my tracks. Simply saying I believe means nothing. Knowing about God is very different from knowing God. I realized I was nothing more than someone who acknowledged a Creator, but I had no idea what it meant to know God as my Redeemer and Savior. God is not interested in lip service. He’s interested in those who serve with their hearts and their hands, those that put their money where there mouth is and live what they believe. This is not a “you must do these works to be saved” messsgae. This is a “If you’re truly saved, your life will show it; you will do the will of the Father” message. We will be known by the fruit we bear, not the fruit we talked about bearing or intended to bear. 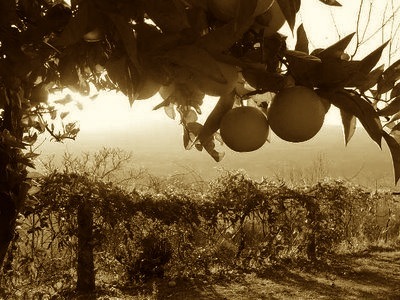 We will bear good fruit not by being rooted in our own good deeds, but by being rooted in the True Vine. 1. Read John 15:1-11. Write out your observations below. 2. Read Galatians 5:22 and list the fruit of the Spirit. 3. What kind of fruit would you be known for? When others look at your life, would they know you love God? How so?